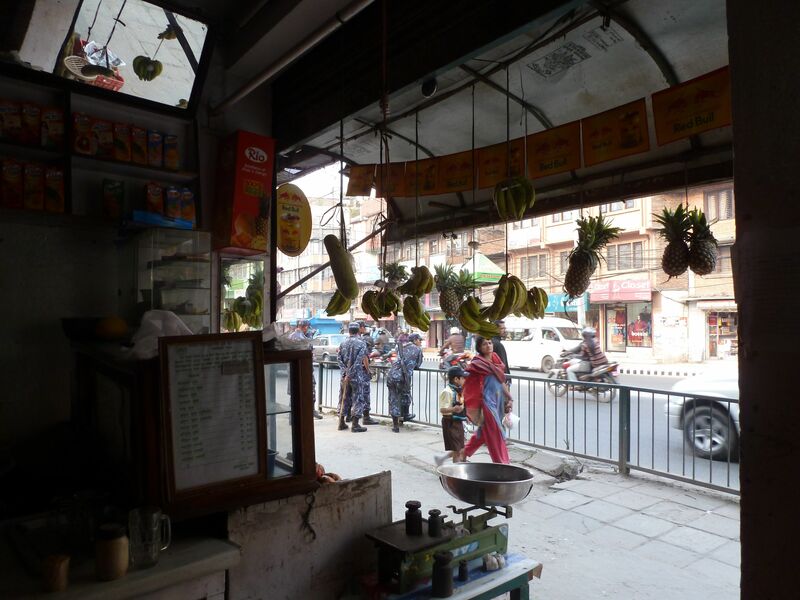 This entry was posted in Being a Foreigner, Food and tagged Bhaktipur, Biri Nun, Jhamsikel, Juice, Kathmandu, Kupondole, Lalitpur, Mausam, Nepali Food, Patan by nepali jiwan. Bookmark the permalink. Kathmandu (Lalitpur) must be small as they say it is. I know this juice shop as it is just opposite my husband’s house (I should say our house now) in Kupondole and I used to go there a lot to get my juice. I used to love watermelon and pineapple juice. It’s very close to the Bagmati Bridge, maybe a ten minute walk from there. Found it! Actually, I saw the Kupondole Banquet sign first, and then turned my head left to face the juice-shop (I’d passed it by mistake). It’s really close to the bridge, maybe 5 minutes’ walk at most. 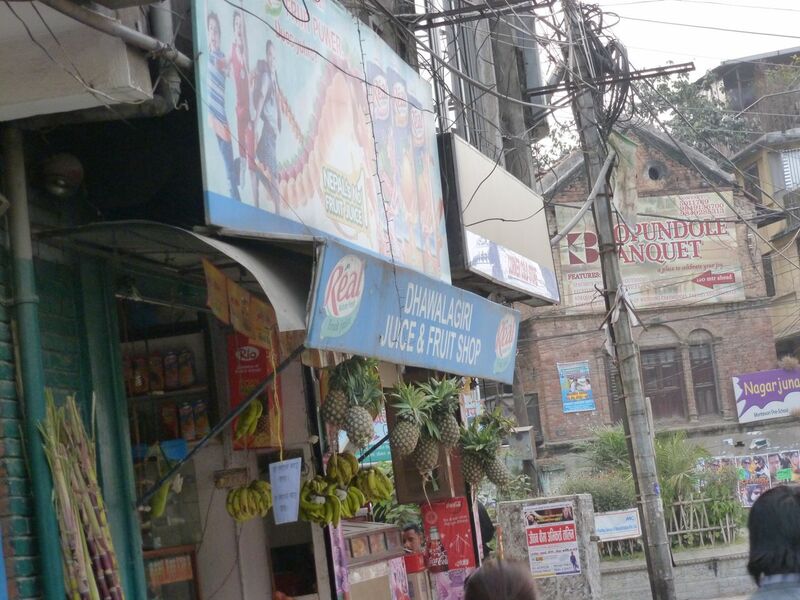 My friend Keshav and I went there Sunday afternoon and ordered mixed juices first, then sugar cane juice. Perfect little shop, delicious juice. I’ll be returning to Ktm in August, and I know I’ll be a regular. Thanks! It was nice to read this post and remember the areas you wrote about. I am really starting to miss Kathmandu. There is nowhere else like it. The way you write, I want to visit Nepal sometime.. Maybe soon!